So good... and has aged so well! Poor reading by someone who is a big name. A collection of tales to invade and paralyse the mind as the safe light of day is infiltrated by the shadows of the night. As you listen, the clutching fingers of terror brush lightly across the nape of the neck, reach round from behind to clutch and lock themselves, white-knuckled, around the throat.This is the horror of ordinary people and everyday objects that become strangely altered; a world where nothing is ever quite what it seems, where the familiar and the friendly lure and deceive. 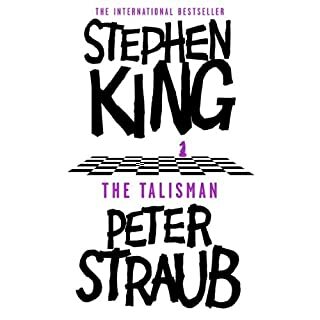 'I believe there is another man inside every man, a stranger....' writes Wilfred Leland James in the early pages of the riveting confession that makes up '1922', the first in this pitch-black quartet of mesmerising tales from Stephen King, linked by the theme of retribution. 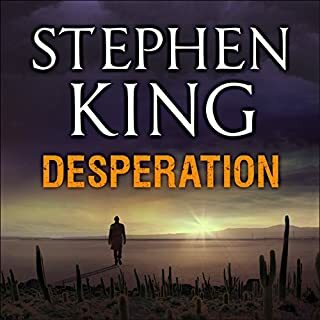 For James, that stranger is awakened when his wife Arlette proposes selling off the family homestead and moving to Omaha, setting in motion a gruesome train of murder and madness. 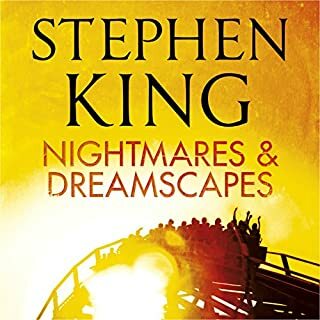 King's brand new fiction title: a captivating collection of tales with dark - and light - twists from the master of this wonderful form. What would you do if your everyday world were turned upside down in an instant? Here are 12 riveting stories about relationships with unexpected twists. Be very careful what you wish for. Read about the acts of kindness from strangers: workmen who intervene in the obsessive exercise regime of a middle-aged artist in "Stationary Bike"; the unexpected visitor, a blind girl, whose kiss saves a dying man; a mute hitchhiker who helps a driver get over his wife's affair. There are tales of obsession and fights for power: "The Gingerbread Girl" runs and runs to ease her pain; two neighbours contesting for a piece of land get into "A Very Tight Place" and a man who witnesses an act of domestic violence in a "Rest Stop" needs to step into his identity as a crime writer if he's to intervene. Then there are the unexpected outside events which turn people's worlds upside down or the right way up: a young couple, David and Willa who are derailed on a train find themselves seeking the bright lights in a nearby town and playing the jukebox, for eternity; an older couple want to punctuate the banal humdrum with something unusual - until it happens. What else can you expect from the great Mr King. Before going into my biassed review, let me first summarize by saying that "Just After Sunset" offers a diverse set of stories with wide-ranging ideas. The majority of the narrators do a great job of bringing the stories to life. That being said, there were really only two tales in this anthology that really wowed me, while the rest were average. That isn't to say they were bad. 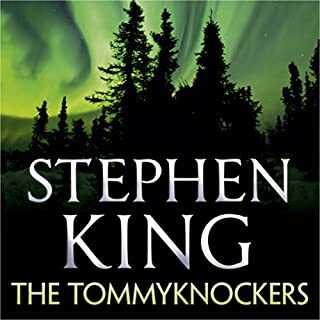 they just didn't give me that "wow" factor that I've come to expect from King's other brilliant stories. My favourite story in this book is "N.". I absolutely LOVED this one. Why? 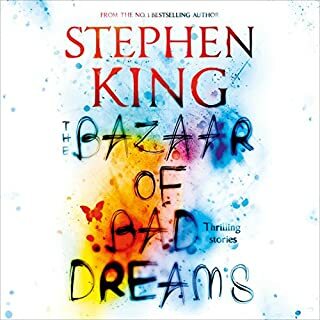 Because it has the kind of theme that really draws me in and fascinates me: the idea that our world sits adjacent to another darker one; one filled with unspeakable evil and nightmarish monsters. The idea that this dark realm is separated from us by a thin protective barrier that bleeds through at certain weak points of the world is just brilliant and terrifying. 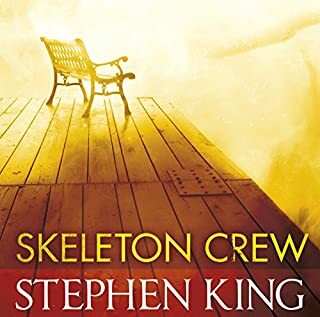 While this idea is solid and a great foundation to build the story from, King outdoes himself by taking the real-life condition of OCD and making it a kind of supernatural power that is used to "board up" the veil when it begins to weaken. The two main characters of the story both end up quite mad, as they realize this is the only way to protect our world from the horrors of the other: place this object diagonally across from this one. Touch each of these stones in turn etc. Their descent into insanity is inevitable as they realize with horror that the amount of "count, touch, place" required increases as time goes on. The other brilliant factor is the idea that the veil will not weaken unless someone physically sees the objects keeping it boarded up with their own eyes. It sounds confusing, but it really is great storytelling. King himself states that this is his attempt at creating a story in the same vein as Machin's "The Great God Pan". This story made me go out and read Machin's book, and while it is a great story, I think King has done better. The other story that shines is "The Stationary Bike". I enjoyed this story because once again the idea was fantastic: A man not used to exercising suddenly has his own body start to work against him when he decides to get his health in order. I loved the idea that the main character actually manifests the agents that attempt to stop him at all costs. From what I can deduce, it is implied that it is the character's sub-conscious is the culprit. There is some part of him that doesn't want to get healthier, and it will do just about anything to make him stop. 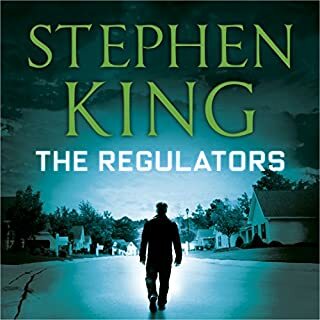 The sense of doom that prevails as the agents slowly catch up to our guy as he rides his exercise bike along his imaginary road makes for a suspenseful read. I only wish the story ended differently than it did. But if it ended the way I wanted it to, it wouldn't make any sense. As previously stated, the narrators mostly do a great job. 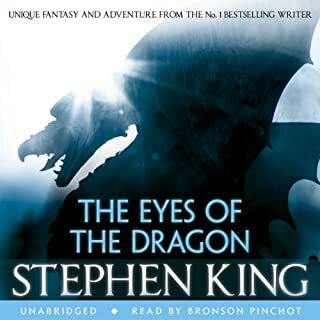 While I love King, I find that his narration of his own stories is flat and takes away from the experience of listening to them. But I do love his little addenda at the end of his story collections that give us an insight as to how he comes up with the ideas for his stories and the reasons why he decides to write them. If nothing else, buy this book for the two stories outlined above. You won't be disappointed. Oh and one more thing, "A Very Tight Place" is just disgusting and when King says he loved every minute of writing it, it just goes to show how sick his sense of fun is. Don't eat anything while you listen to it. 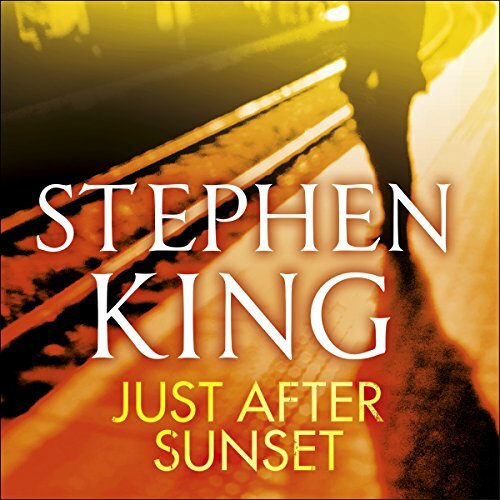 Just After Sunset is a collection of King's short stories, both published in magazines or previously unpublished, bundled together in bite-sized, easy to listen to portions. 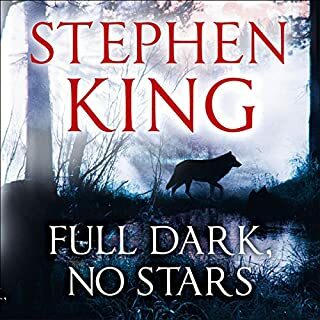 Unlike "Full Dark, No Stars" there's no overarching theme to maintain the flow between stories and the quality is a bit inconsistent, but it's worth the purchase. 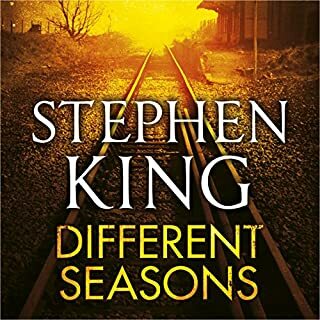 "The Gingerbread Girl" and "Mute" are worth the price alone, and King himself even lends his voice for a couple of the stories. I have to completely disagree with the earlier reviewer- this is a masterful collection of stories, a veritable 'how to' in writing short fiction. Some are creepy, some sad, a few silly. What shines through is King's ability to create identifiable characters and situations then pull a switch which terrifies or amuses. His novels have recently risen out of the irritating overwriting they've been plagued by for over a decade. He's rediscovered that less can be more. Whether this is because he's taken a lead from his son, Joe Hill, or if he's regained his muse, I can't complain. 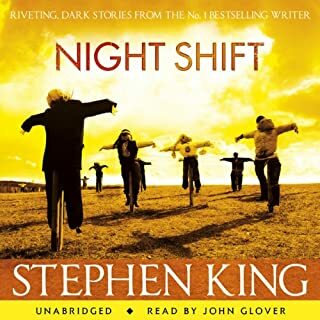 Special note must be made of the audio presentation: several actors (including LA Law's Jill Eikenberry) vary the voice and tone of the stories, except in one case where the story has distinctly separate narrators where the effect is splendidly realised. King's own notes make it something to treasure, and its interesting to see which stories he choses to narrate himself. There's an authenticity to King's work which makes him one of my favourite authors no matter how fantastic or dark the material he explores. 9/11 hangs heavy over this collection -explicitly in one story, allegorically in others. As each story ended, it was a delight to find another one starting. Just wonderful. 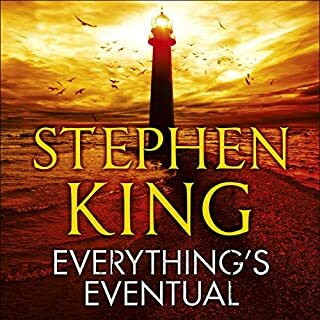 The fabulously creative and talented Stephen King lost his way with what started off well but became the ridiculously self-regarding Dark Tower series. 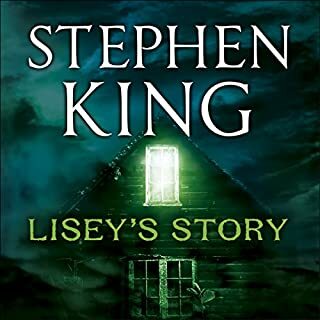 Then came the very so-so Cell, and the least said about Lisey's story the better. 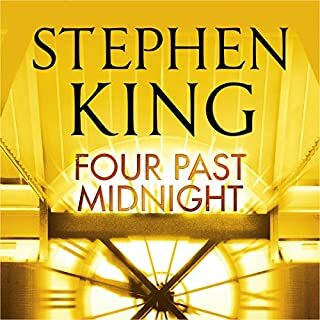 Now after another couple of other reasonable but not terribly gripping projects comes "Just After Sunset" - a magnificent tour de force and a reminder of just what a wonderful story teller King is! 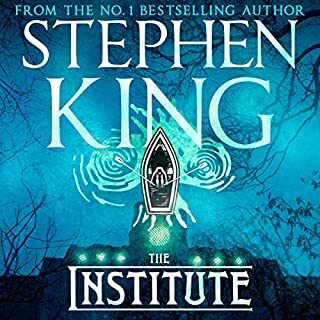 This powerful and gripping series of stories took me back to my early encounters with King in Carrie, Salem's Lot and the Shining. I am with some relief and lots of gratitude once more a "constant reader". Would you listen to Just After Sunset again? Why? I'm not sure any scenes are enjoyable. There are a number of David v Goliath moments, many times I felt scared for the characters. This is the first time I have read short stories as they normally don't appeal as the author himself says in the introduction. I liked some and not others. However, they are superbly narrated and I listened till the end, with the last story being the best. 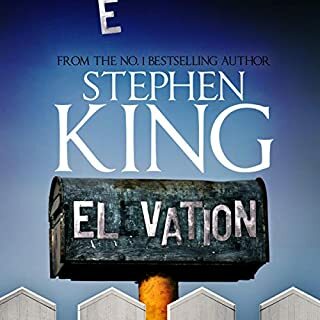 If youre a Steven King fan I guess you will love them, if not then Im not sure. 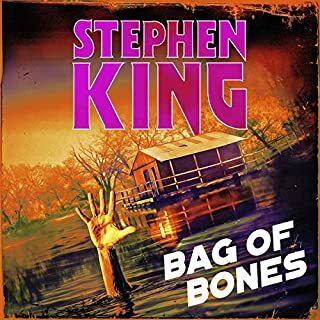 I have only read Bag of Bones which I really enjoyed and thought I would give these stories a try. i don't regret it. N’s story needs a warning to anyone with or recovering from OCD! 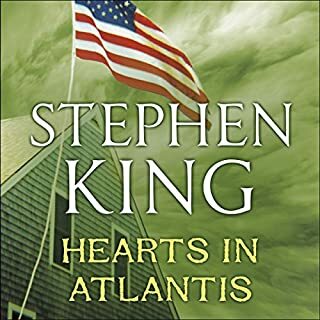 Big Stephen King fan but I struggled to see this one through to the end. A few good listens littered with weak detritus that feel like fillers. This is the second book in a row that for the majority of the time felt like background noise. Literary version of elevator music.